Carla Myers joined the University Libraries in January as the Scholarly Communications Coordinator. Where are you originally from? What's your educational background? I grew-up in Huron, Ohio, and then moved to the Akron area for college. I received a B.A. in psychology from the University of Akron and obtained my master’s degree in library and information science from Kent State University. What's your title? How would you describe your position at the Miami Libraries? I'm the coordinator of scholarly communications for the Miami University Libraries. My responsibilities include facilitating the use of Open Educational Resources (OER) on campus, answering questions about U.S. Copyright Law, and helping faculty and students promote their scholarship and research within their professional communities and to the public. What drew you to work in a library environment? Why did you choose the Miami Libraries? Growing up, I loved to read. When I went to college, I applied for a job at the campus library, thinking it would be fun to be around so many books. I had intended to become a psychiatrist or physical therapist but quickly fell in love with library work and pursued that path instead. I chose the Miami Libraries because I was so impressed with the passion, dedication and enthusiasm of the library staff and with this beautiful campus. What's the best part of working in a library? I love seeing how excited patrons get when you are able to connect them with the information they need, especially when they have a challenging research question. What's one thing you wish college students knew about using a library? Librarians love to be asked questions—ask us anything! We love to connect people with information, whether it's scholarly info for a class project, a topic you're investigating for fun, or directions to a restaurant. I once had a patron ask me about a good gift to give your mother for her birthday...I recommended flowers! What's your favorite book? What book character would you most like to be? My favorite book is Eragon, by Christopher Paolini. A book character I admire is Hermione Granger...she's smart and tough. Reading, of course. I also enjoy hiking, biking, and rock climbing. I am originally from Muncie, Indiana; however, I have lived in Oxford for the past five years. I graduated from Ball State University with an undergraduate degree in general studies, but focused in elementary education and library media and computer education. I am currently studying to get my MLIS and MS in information architecture from Kent State University. I am a Senior Library Technician at King Library. My job entails desk duties, such as answering patron questions, locating books and articles, directing phone calls to the right extension, as well as many others. I make the schedule for the desk, as well as help clean the computers when there is downtime. I have been working in libraries for the past six years. My previous experiences have been with public libraries, working in both circulation and as a shelver. I have always had a fascination with reading and a passion for learning. The Miami Libraries allow me to stay relatively close to my family and friends, but I have also enjoyed the atmosphere while coming in as a patron. The best part of working in a library is the constant knowledge adventure. I always refer the process as "having to put my Sherlock hat on." I never know what question I might have to answer. Academic and public libraries are different in how they classify their books. If you are looking for a particular author or title and you don’t know the LC call number, you can’t browse the shelves as easily. Please ask for help or use the catalog. My favorite would have to be The Lord of the Rings trilogy. The world building is amazing. I've read this at least once a year since high school. Sabriel, from Garth Nix’s Abhorsen series, would probably be a choice for one of my favorite book characters. I like strong female leads. My hobbies include the librarian standby of reading (with most selections being young adult), but I also enjoy horseback riding and crafting. What's something people don't know about you that might surprise them? I come from a large extended family, where Christmas can end up being over 70 of us there. Family reunions are even larger, with closer to 150. The great thing is that we all get along well. Jim Bricker does not have big retirement plans. For the time being, he only wishes to spend some time lost in the clouds. A native of the Celina, Ohio, area, Bricker began working while still in high school and earned his bachelor’s degree in history from Wright State University. His job prospects upon graduation were not promising. “In 1971, a bachelor’s degree in history qualified you to work in a factory,” Bricker said. While his job at Goodyear Tire and Rubber was not all he had hoped for, he had the unexpected pleasure of meeting his wife, Connie, there. In 1978, he followed her to Lansing, Mich., where she did her postgraduate work at Michigan State University. 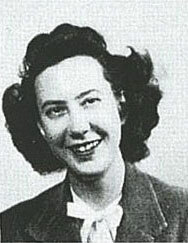 Her career in electron microscopy later led them to the University of Vermont. In 1986, Connie accepted a job in Miami’s botany department, relocating the couple closer to their families. Bricker, who had been a welder in Michigan and a warehouse worker in Vermont, found work as an assistant carpenter in Oxford. His break came in January 1987, when a half-time position opened up in the Walter Havighurst Special Collections. He interviewed with Helen Ball, Frances McClure and Elizabeth Brice and was offered a paying job he would have gladly done for free. Bricker’s entire Miami career was not spent in the special collections, though. He reached full-time status in 1988 by taking on an additional half-time role in interlibrary loan, which became full-time. A man of many hats throughout his life, Bricker later took on responsibilities at the information desk and in circulation, leaving him, at one point, trying to coordinate vacation between three different supervisors. In 2005, Janet Stuckey, then head of special collections, encouraged him to apply for an opening back where his Miami career began. He finishes his career in that same position next month. He has many favorite moments. During the Dalai Lama’s visit in 2010, he curated a special collections exhibit on Buddhism and still treasures a photo taken with him and a pair of visiting Buddhist monks. He also has thoroughly enjoyed working with and getting to know former NBC executive and Miami alumnus Rick Ludwin, who developed and advocated for Bricker’s favorite television show, Seinfeld. Perhaps his greatest source of pride comes from the fact he has had the privilege of working for every Miami head of special collections, from Helen Ball to Bill Modrow. When reflecting on his career in the Miami Libraries, Bricker recalls a defining moment in the early 1990s when he was taking library science classes and pondering his future. 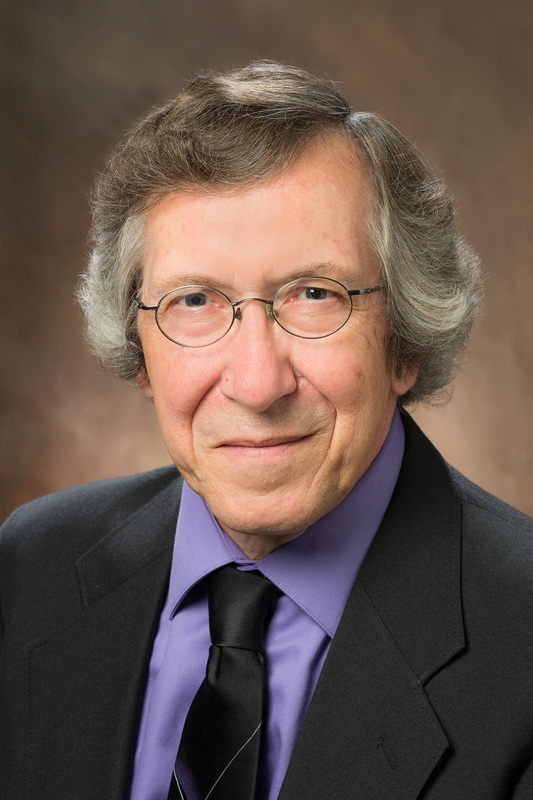 Anyone looking for an engaging conversation can find a willing partner in Ken Grabach. Grabach, who retires this month after 30 years in the Miami University Libraries, is a people person with an unquenchable curiosity, ranging from the natural world to international affairs and, of course, maps. The son of a protestant minister who moved frequently during his youth, Grabach considers his home Flint, Mich., where he attended high school and later the University of Michigan-Flint. After earning his master’s in library science from the University of Michigan-Ann Arbor, he served five years as a librarian for the U.S. Army before deciding he wanted to try the academic sector. He arrived at the Miami Libraries 30 years ago in government documents and never left. He enjoyed his initial position, particularly when the Miami Libraries became a depository for the European Union, affording him opportunities to participate in conferences, including a week-long event in Brussels, Belgium. But maps have long been a passion. He leapt at the chance to become the half-time maps librarian at Miami, a position that would later evolve to become full-time and to include liaison responsibilities with the departments of geography, geology and mathematics. To a man with collections of map ties and t-shirts, he was in his element. Supplementing that enjoyment are the many relationships he has formed with students and faculty. He recalls on Sept. 11, 2001, talking with one of his student workers, who arrived hours early for his shift just to talk to Grabach about the day’s happenings. He treasures those relationships and the opportunities he has had to touch lives. The collective impact of Grabach’s work came full circle for him during his last Miami finals week. In observing presentations from two student teams with whom he had worked closely on a client-based project, he shared pride in their hard work and saw the realized potential of his extensive efforts, along with those of Eric Johnson, to digitize much of Miami’s map collection. He also felt honored that one of his articles was cited in one of the presentations and appreciated that one of the closing slides thanked him and congratulated him on his retirement. For Grabach, retirement with his wife, Patsy, and big, red cat, Clifford, will not mark a significant slowdown. OXFORD, Ohio — Miami University today announced an estate gift of more than $2.3 million to benefit both the Department of Geography and University Libraries. The gift will support the Walter Havighurst Special Collections housed at King Library, as well as enhance the teaching and research programs for the Department of Geography. The gift was made by the late Ruth McConnell ’46, who graduated from Miami with a bachelor’s degree in literature and later obtained her master’s degree from the University of Wisconsin. She retired as an administrative assistant from Stanford University in 1985. The gift is part of the Wallace and Della McConnell Memorial Fund, established by Ruth to honor her parents. Wallace McConnell was the geography chair at Miami from 1946-52 and taught and researched at the university starting in 1918. The Walter Havighurst Special Collections are named for a writer and professor of English at Miami from 1928-69. The Havighurst Special Collections preserve and make accessible volumes and documents covering a variety of subject areas and historical periods, ranging from rare collections of Russian history and English literature to the Miami Tribe of Oklahoma’s Myaamia Collection and an extensive postcard collection. 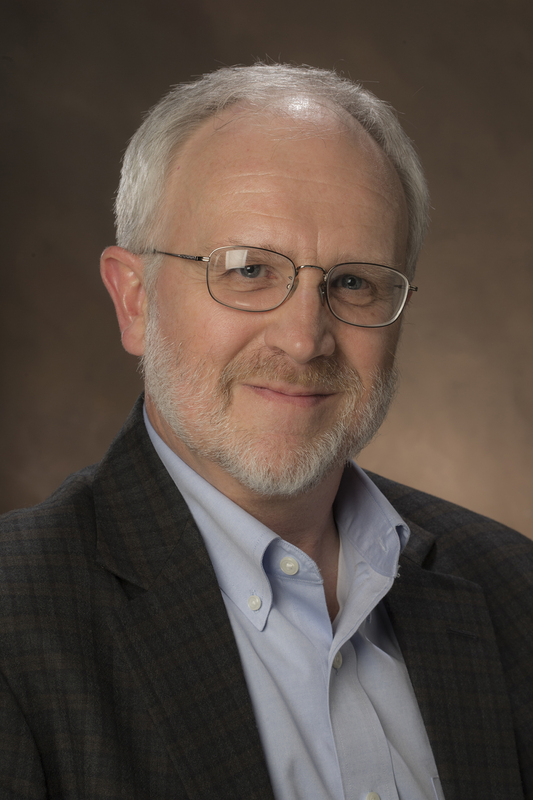 Thom Gerrish joined the Miami University Libraries team earlier this fall as Science and Engineering Librarian in B.E.S.T. Library. Learn more about Thom in our December staff spotlight. I’m originally from near Kalamazoo, Mich. I graduated from Michigan State University with undergrad degrees in biochemistry and Russian. I also have a master’s in linguistics from MSU. My MLIS is from Wayne State University in Detroit, Mich.
My title is Science and Engineering Librarian. This comes with a lot of different functions. I’m essentially responsible for connecting with the students and faculty in chemistry, chemical engineering, mechanical engineering, and geology departments. This means providing research help, managing the library’s collection, and liaising with the departments. Being a librarian means working with a lot of interesting people and learning a lot of different things. Working at Miami means being at a great school that allows me to live in the Midwest near family and friends. Almost every day is different. Some days you meet with students, others you work on collection development or personal research. I love the variety that the job brings. Probably inter library loan. The library can get you nearly anything you need…but you might need to start your research earlier than the night before it’s due. This is a powerful resource that I wish more people knew about and used. It’s hard to say what my favorite of all time would be. I really like The Master and Margarita by Mikhail Bulgakov, The Stand by Stephen King, and the Wheel of Time Series by Robert Jordan. As for a character from a book, I guess I’d like to be Tyrion Lannister from A Song of Ice and Fire for his combination of wit and sarcasm. I play trumpet and cornet. I also enjoy cooking since it reminds me of being in a chemistry lab. I used to have all the licenses required to sell securities like stocks, bonds, and mutual funds. 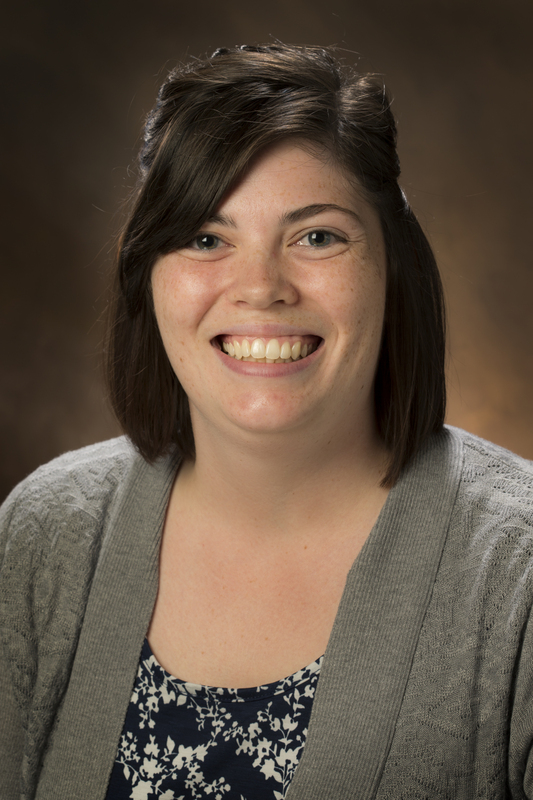 An Ohio native, Lindsey Masters joined the Miami University Libraries last month as a senior library technician in the Center for Digital Scholarship. Originally, I am from Millersburg, Ohio; more commonly known as Amish Country. I graduated from the University of Mount Union, where I studied Japanese language and Media Computing. During my time at Mount I also had the opportunity to study abroad in Japan for a semester. What drew you to work in a library environment? Why did you choose the Miami University Libraries? While studying at Mount, I spent time working at the campus library. During that time, I found the atmosphere and work environment of an academic library to be one that was very welcoming and enjoyable. While researching Miami, I found the libraries here have that same atmosphere, as well as a team that has a real passion for its work. The campus and its libraries seemed genuine about wanting to provide the best resources and opportunities for their students and staff, and that was something I wanted to be a part of. The best part about working in a library is easy access to books. I like to peruse the shelves when I have extra time during lunch. It’s always fun to find something new you might not have known was there before. I hope students realize the library is so much more than just a quiet place to study. It’s great for that, but there is so much more available to them—help with writing, research tools, technology, an extremely helpful and friendly staff. There are a lot of resources they can take advantage of. “Howl’s Moving Castle,” by Diana Wynne Jones, has been my favorite book since I was about nine years old. I’ve probably reread it more times than I should. I would definitely choose to be the main character, Sophie. She becomes cursed, is transformed into an 80-plus year old woman, makes a deal with a fire demon, and gets into the middle of all sorts of mischief and magical adventures, all the while crankily complaining about her aching bones. I enjoy reading (big surprise! ), but also enjoy creative writing, as well as illustration and crafting. I love to quilt. I’ve quilted about eight blankets in the past two years and have two works-in-progress waiting for me to get around to finishing them. Tiffany Dogan is a senior library technician at B.E.S.T. Library who began her current role in 2015 after previously working at the Southwest Ohio Regional Depository. A Miami graduate, Tiffany has worked in the Miami Libraries since beginning as a student worker in 2005. I'm a Cincinnatian born and raised—at Skyline is where I've spent most of my days. I am a Class of 2008 Miami alum. I originally started as a zoology/pre-med major, but switched to black world studies and urban and regional planning. I also earned a certificate in geographic information sciences. When did you start at Miami Libraries? My time at Miami Libraries started at Wertz Art and Architecture Library in 2005 as a student worker. In 2006, I began working at King Library as well. In 2010, I was hired as a full-time staff member at the Southwest Ohio Regional Book Depository (SWORD). In 2015, I accepted my current position at B.E.S.T. Library. What drew you to work in a library environment? Why Miami Libraries? When I was a student worker, I just needed a job. Over the years, I have found that it's great work that allows you to interact on an intellectual level with people from many different backgrounds and concentrations. You're also able to learn a lot on your own when you help students research topics. I especially like that the Miami Libraries give people a chance to be themselves. First is the people. Our students and staff at B.E.S.T. Library are simply that—the best! I enjoy that each day is different and there are constantly opportunities to learn new things and develop yourself personally and professionally. What do you wish Miami students knew about the Library? I wish the average Miami student knew that the Library is more than just a place to study or get info on how to start a research paper. 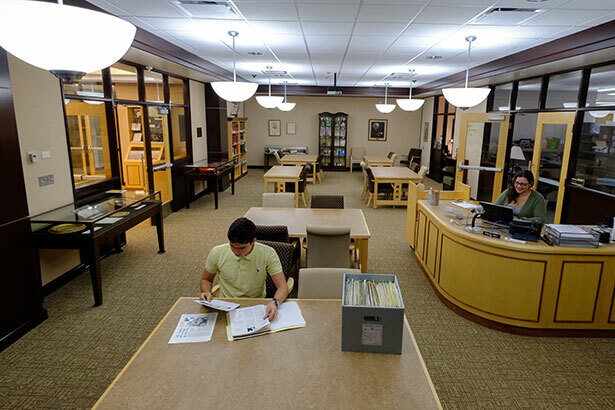 Through the programming it offers, the Library is a great resource for students to discover new hobbies and learn more about where they fit in Miami history. Special Collections does a great job telling Miami's story. We also offer programs like MakerHerSpace and Zines workshops that offer opportunities to de-stress and socialize with others. Honestly, I have a number of favorite books. The Harry Potter series, “Their Eyes Were Watching God,” “The Hot Zone” and “To Kill a Mockingbird” are a few favorites of mine. I knit... well, I knit with a knitting loom (yes, I know it's cheating). I took up the hobby about five years ago when one of my best friends was pregnant with her son. I made a baby blanket using the knitting loom. It took a while because I made it kinda big so he can grow into it. I am very active with a local grad chapter of Sigma Gamma Rho Sorority, Inc. I am the advisor to the undergraduate chapter at Xavier University. It sounds weird to the average person, but the work of all organizations that are governed by the National Pan-Hellenic Council continues after graduating. I have chaired and co-chaired a number of programs that my chapter has hosted over the past two years that engage the community. One of my favorite initiatives is Operation Big Book Bag. Our chapter partners with other organizations to provide book bags full of school supplies to an entire school in Cincinnati that has a 100 percent poverty population. 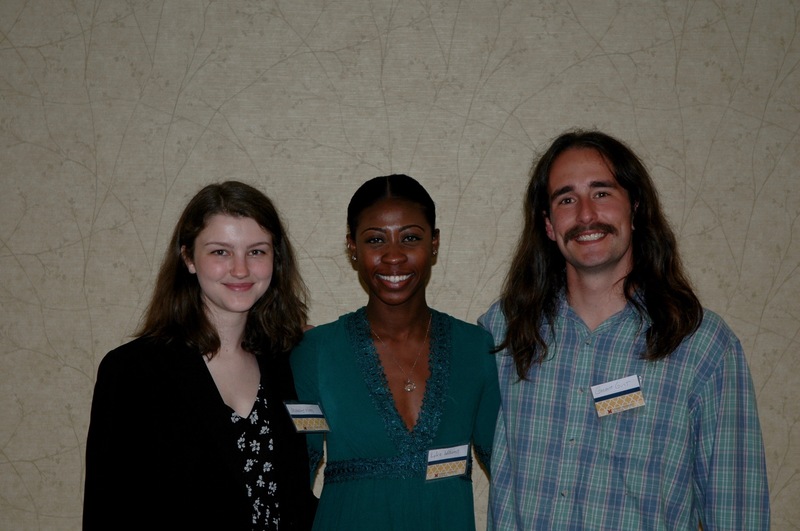 Three Miami students won the Miami University Libraries’ inaugural Award for Undergraduate Research Excellence (LAURE), an award given to Miami University undergraduates who demonstrate excellence in library research conducted in support of a student project. First Place: Mahaley Evans, a senior History major, submitted a project examining the discourse surrounding women in East Germany and Eastern Europe and analyzing communism’s effect on their Cold War and post-war lives. Ms. Evans completed the project for History 480, taught by Dr. Matthew Gordon, and her project sponsor was Dr. Erik Jensen. Honorable Mention: Marlyka (Lyka) Williams, a junior majoring in Architecture, presented a project entitled Dare to be a Wildflower: Looking to the Natural World for Answers Through an In Depth Study of Heliostat Technology, based on her research in Architecture 406 taught by Dr. Mary Ben Bonham. Honorable Mention: Garrett Gust, a senior Individualized Studies major, submitted his project Tapped: An Insider Look at the Craft Beer Movement, conducted in part for WST 421 taught by Dr. Hays Cummins. Ms. Evans, Ms. Williams, and Mr. Gust will be honored at the Miami University Libraries Student Recognition Dinner on April 24. In addition to this recognition, LAURE’s first place winner receives $1000.00, and honorable mention winners each receive $100.00. Award-winning projects will be submitted to Miami’s Scholarly Commons in a special collection designed to showcase exceptional undergraduate work. A second award cycle, designed for students who are currently completing first year research, will take place in the Fall. 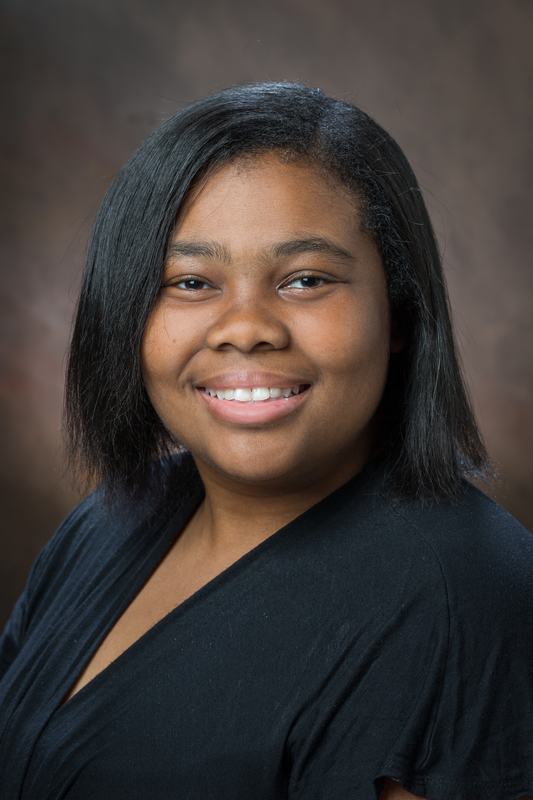 For more information about LAURE, please visit the LAURE website at http://libguides.lib.miamioh.edu/LAURE. This week, Nature Publishing Group (NPG) introduced new, experimental functionality on the nature.com platform that enables subscribers to many journals at nature.com to share a read-only version of full-text subscription articles, to support collaboration. This functionality is powered by ReadCube, which is an enhanced PDF viewer that can be used in-browser or through the ReadCube client, which is available for download for both Mac and Windows users. What does this mean for Miami University Library patrons? The Libraries subscribe to 16 journals on the nature.com platform with the shareable link functionality. If you are a Miami University faculty, student, or staff, you may create a shareable link to an article in one of these 16 journals and share it with anyone, including those outside of the MU community. 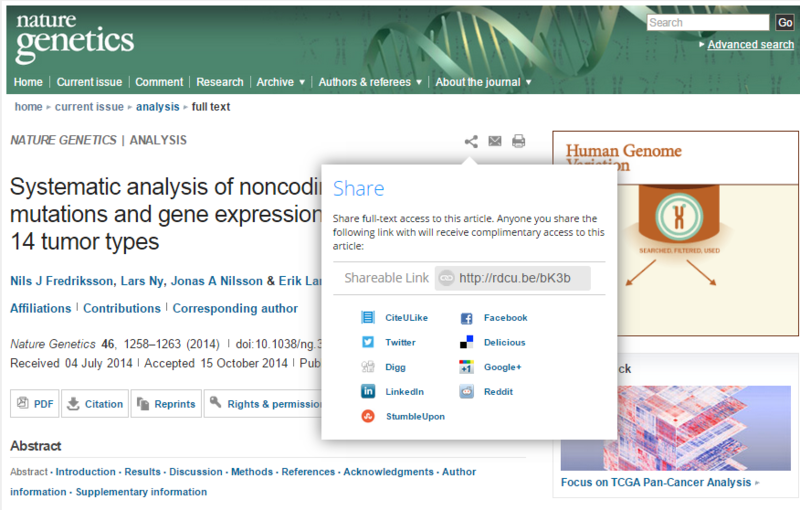 To create a shareable link to an article in one of the 16 journal titles, navigate to the full text (html) of an article at the nature.com platform. A Share icon appears just above and to the right of the article title. Click on the Share icon and copy and paste the Shareable Link that appears in the box (e.g., http://rdcu.be/bK4l). Send this link to colleagues or collaborators who don't have a subscription to the journal but would like to read the article. For nature.com journal content that is not currently available to Miami University users, colleagues at other institutions who do subscribe to these titles may now send you a shareable link to that content. Note that these full text articles are not open access, are read-only, and fall under nature.com's Principles and Guidelines.